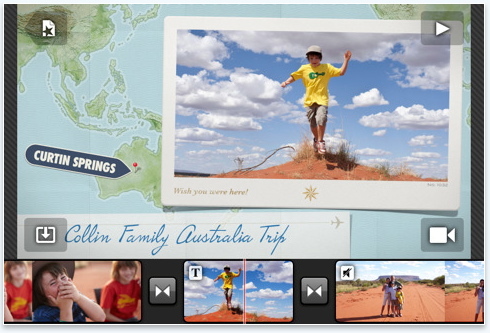 iMovie is a video editing app sold by Apple and design for iOS 4 devices such as the iPhone 4 and iPod touch 4G. â€¢ Ability to split video clips. â€¢ Automatic music looping when video extends beyond music track. â€¢ Scrub to preview clips in Video Browser. â€¢ In-app Tips page that illustrates how to use key features. â€¢ Updated Photos Browser with newest images at top. â€¢ Mute badge to indicate video clips with audio disabled. â€¢ Additional performance and reliability improvements. iMovie app cost $4.99 and is available on the app store. How to download it in Saudi Arabia? How to register in U.S. store. I’ve tried enough times but it says that my credit card information doesn’t match the U.S address I give. It’s now available in Saudi-Apple Stores. I downloaded.